On Friday, U.S. Senate candidate Tim Kaine and his wife, Anne Holton, volunteered at the Remote Area Medical Clinic at the Wise County Fairgrounds. Over three days, the non-profit clinic is expected to provide health services to more than 3,000 patients from Virginia and neighboring states who are uninsured or cannot afford care. The nation’s largest health outreach clinic, RAM offers dental and vision care, wellness check-ups, women’s health services, lab testing, and health education information. Kaine and Holton arrived early to check patients into the clinic who had been waiting in line. All available tickets to the clinic were distributed by 6:15 a.m. Throughout the morning, Kaine spoke with patients and volunteers about the need to work together to improve access to affordable health care for all Virginians. “Meeting the dedicated volunteers and seeing the overwhelming need for quality health care in all parts of Virginia is a great reminder that public service isn’t about winning elections, it’s about problem solving,” said Kaine. The RAM clinic is made possible by volunteers from medical schools, hospitals, and civic organizations across Virginia. At the event, Kaine had a chance to meet volunteers from Richmond’s Virginia Commonwealth University, Virginia Lions Club members, and doctors from the across the Commonwealth that were serving at the clinic. 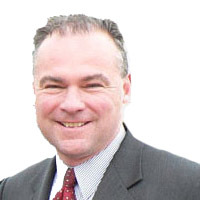 “As a senator, I will be a reliable vote to strengthen our nation’s healthcare system through improved affordability and increased access,” Kaine added.